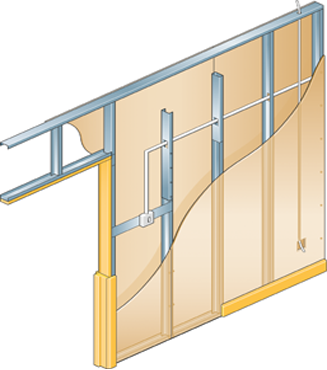 Metsec manufacture a full range of dry lining metal profiles. Thanks to extensive research and development with advanced manufacturing techniques Metsec offer partitioning systems that conform to the latest British and European standards. These systems have been independently tested with proprietary gypsum products, providing reassurance that our products meet the most stringent standards of rigidity, fire resistance, and acoustic requirements. A high performance fire protection system to enclose shafts in high rise buildings. Our Shaft Encasement System allows installation to take place from the landing side only. 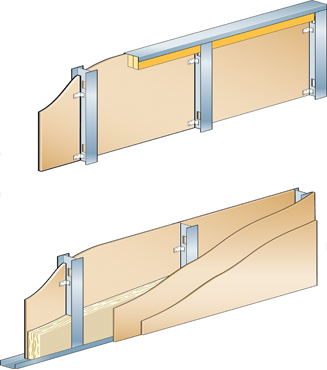 This system is non load bearing and designed to fit between structural floors. A high performance fire protection system to enclose structural I type columns and beams. 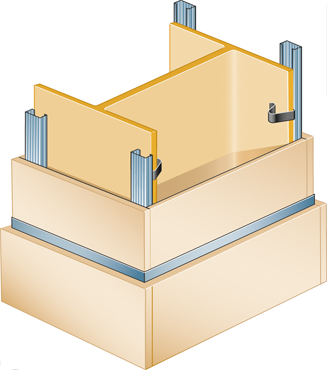 Our column and beam encasement system provides fire protection of up to 120 minutes.